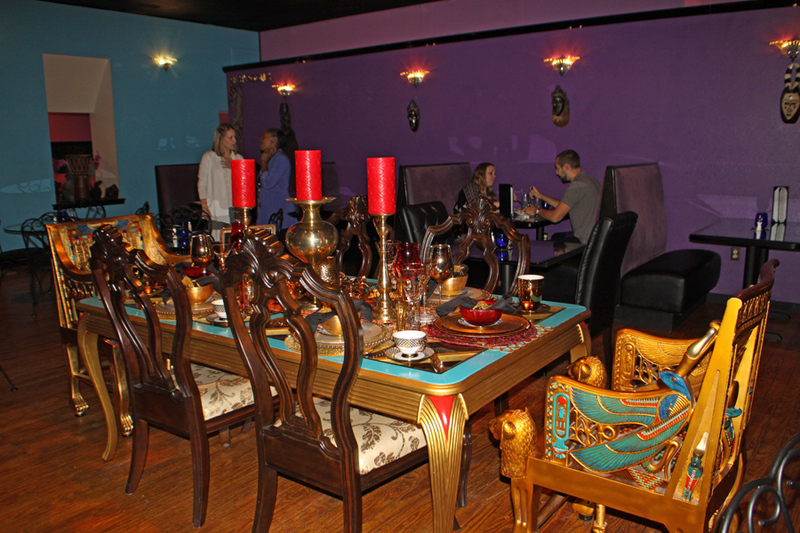 Can you imagine dining like Egyptian Royalty of ancient times? You can actually do it at Nefetari's Fine Cuisine & Spirits in Tallahassee. Not only is the food healthy and delicious, the decor is a feast for the eyes. One of the first things you see is a stuffed lion named Maliki near the entrance. 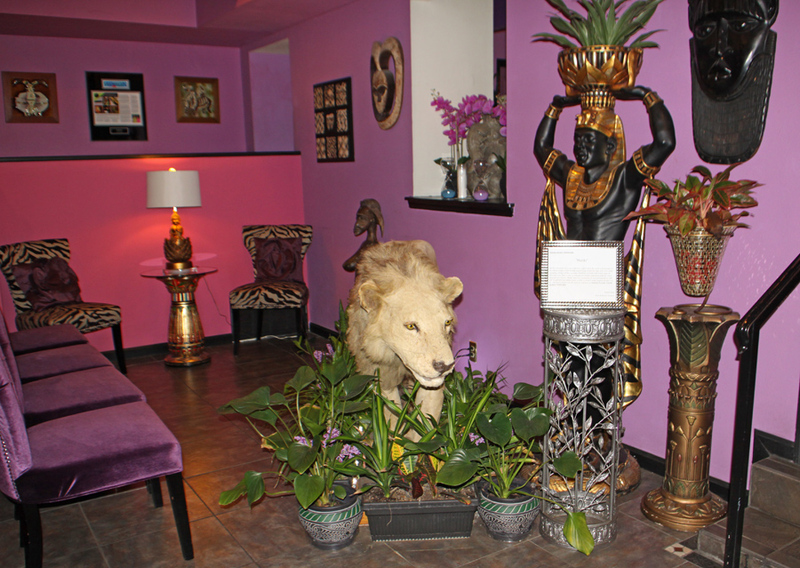 The entire restaurant is filled with Egyptian and African art. It's a mini-museum. Nefetari's Fine Cuisine & Spirits was born out of a lifetime dream of Sharon Dennard and her husband Dana, both practicing psychologists. They decided to give up their high-level professions and take a leap of faith into the risky restaurant business. It grew out of their frustration in finding a restaurant that suited their needs. As busy professionals they ate out a lot. Sharon recalls, "At that time I was a vegetarian. Now I'm a vegan. Say there was a group going out to eat. Some wanted vegan, some vegetarian, some only ate raw, and some were carnivores. There was nowhere in Tallahassee before Nefetari's they could all get their palates satisfied." She continued, "Next problem, we get together and you say I've got a taste for Italian. I say, I was thinking Indian. So then you have push-pull. I say okay, we'll do Italian and get Indian another time. So I thought why couldn't restaurants mix more than one cuisine." Another problem Sharon saw in local restaurants was more of a fast foods mentality. Less healthy foods served fast so people could eat and then go rush away for entertainment. 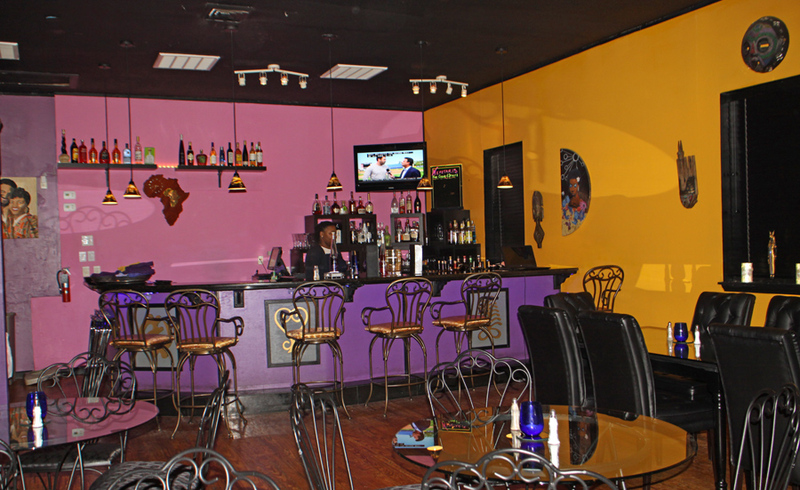 When she opened Nefetari's Fine Cuisine & Spirits she solved all of those problems. Food is healthy and organic. The menu is varied; and you have lots of choices in each dish. You can find items like Caribbean Jerky, barbequed wings and Mediterranean hummus all on the same menu. 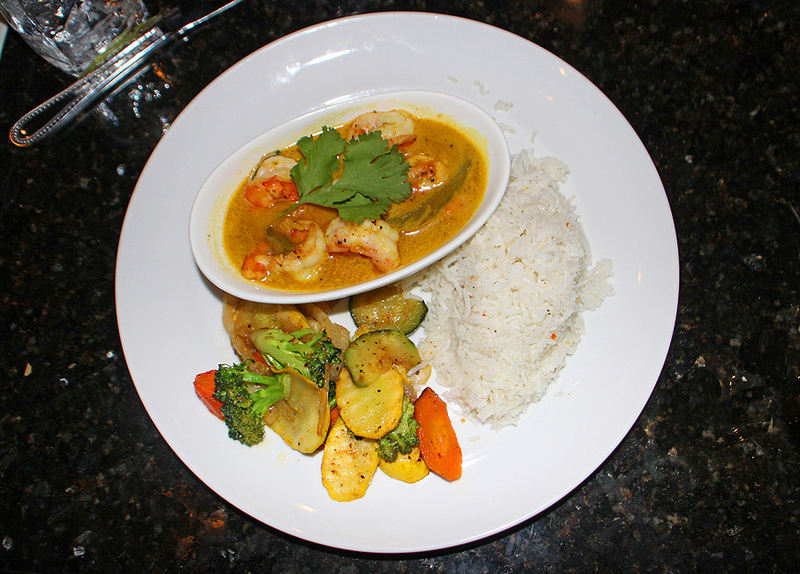 My choice was Curry Coconut and for the protein, I was able to choose from chicken, shrimp, lamb or tofu. Shrimp won out for me and when it arrived I was very happy with my choice. Most of the dishes had that option. 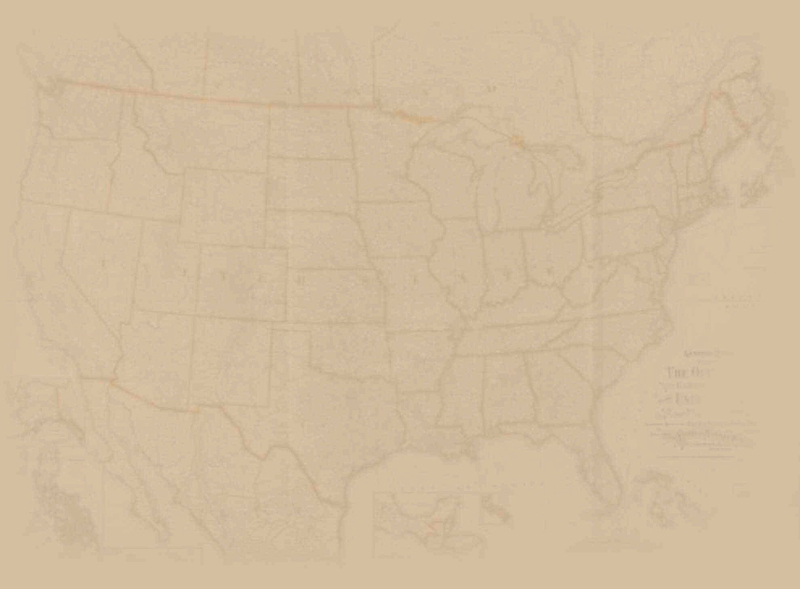 Pretty hard to find someone that didn't see something that appealed. The desserts hold their own and then some. 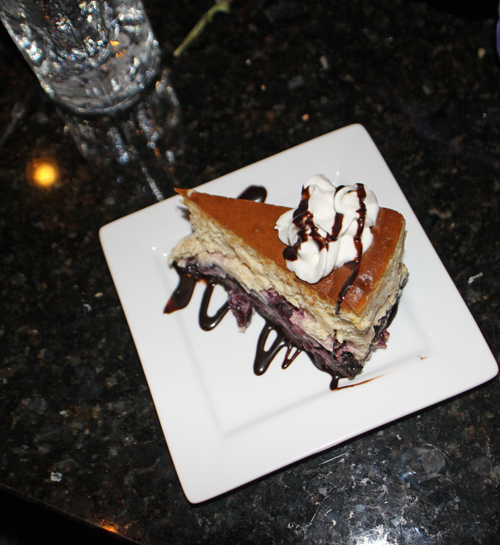 Their cheesecake is divine. Sharon began preparing her own cheesecake when her pastery chef took a vacation. By the time he returned she had become "Queen of Cheesecake." With a cheesecake and a cocktail like these how can you go wrong? 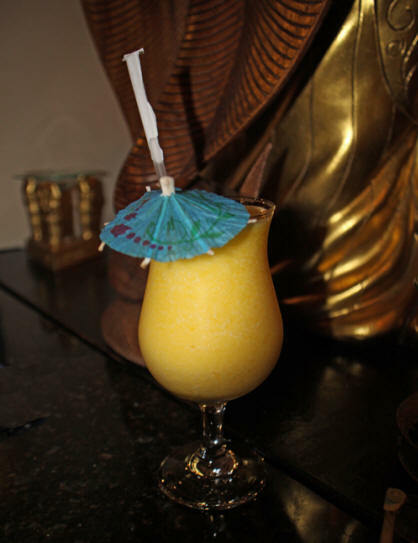 Beverage-wise, you can order anything from a veggie smoothie to a fine wine or a cocktail. As for entertainment, no need to rush out to go elsewhere. 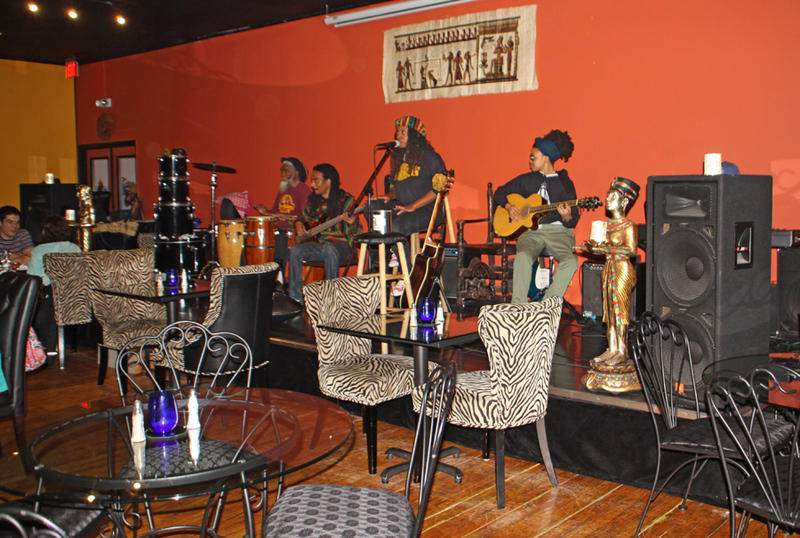 Entertainment is local, center stage and ongoing at Nefetari's. The music is all original. They do mystery dinners. First one was themed "Who Killed King Tut." Everything was themed and you had to have 1330BC attire. The food was researched to be authentic. You are caught up in the theme and you don't know if another party sitting next to you is a guest who bought a ticket or a part of the production. At the end Sharon calls up a few guests to say who they think did it. Usually they guess wrong. The audience also picks the best dressed person. The woman who won that night had a elaborate headdress. When Sharon asked her how she created the headdress, she replied. "I used a lampshade." If you want to really live it up royally, you can reserve the Queen's Table. "It's anchored by an authentic looking replica of King Tut's throne and a replica of his aunt, Queen Sitamun's throne at the other end. Everyone should have a moment in time when they feel like king or queen. When you're celebrating a birthday or anniversary sitting at that table, everything is different. You have a private attendant and when you are sitting at that table, everyone is sitting out there wondering how you got to sit there." 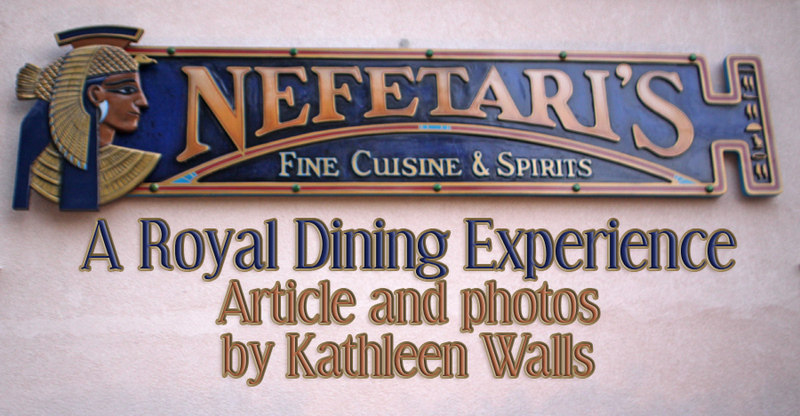 Nefetari's Fine Dining & Cuisine really lives up to its name. As Sharon stated, their tag line is "A royal dining experience."